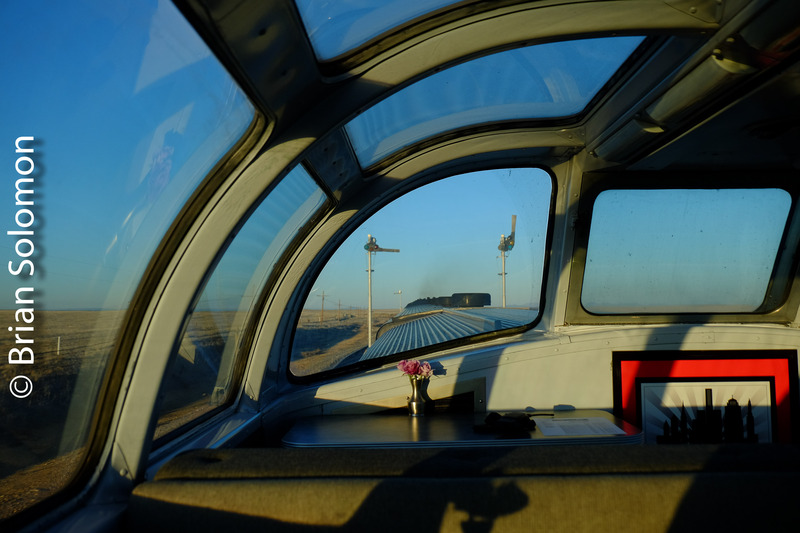 Semaphores on the Santa Fe—Five Photos. 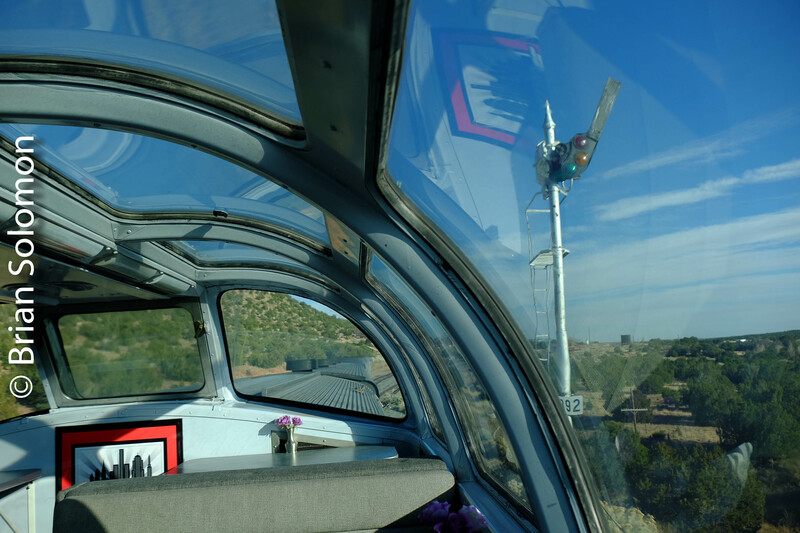 Between Albuquerque and Raton Pass (on the New Mexico-Colorado state line) I counted three bastions of Union Switch & Signal style-T2 upper quadrant semaphores on our journey over the former Santa Fe in Vista-Dome Silver Splendor. I watched the blades drop from the vertical as we passed—a scene I’d not witnessed for many years. 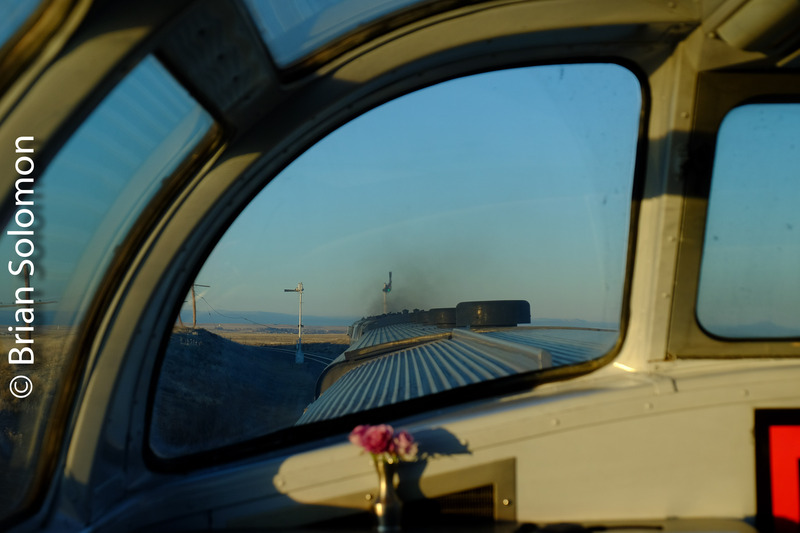 The view of a semaphore dropping from ‘clear’ to ‘stop and proceed’ as seen from Vista Dome Silver Splendor on Amtrak’s Southwest Chief. Lumix LX7 photo near Las Vegas, New Mexico. East of Las Vegas, New Mexico. FujiFilm XT1 photo. 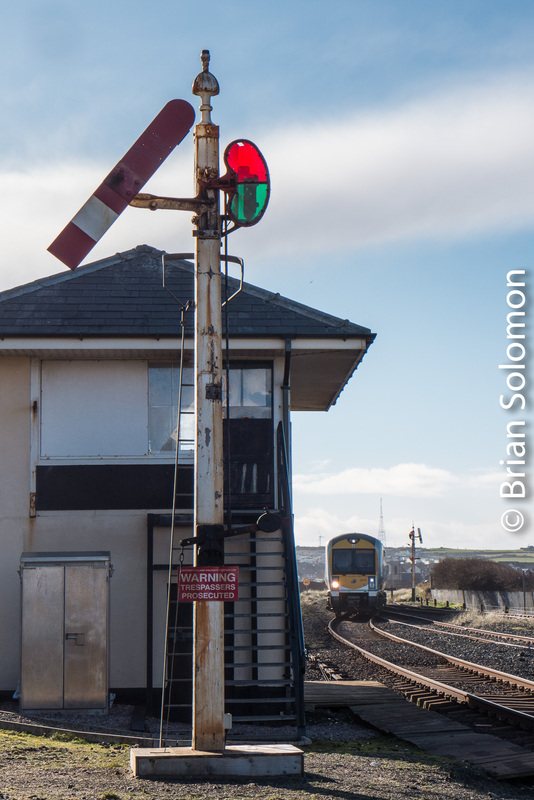 In 2018, these signals represent the last large collections of active semaphores on any North American mainline. 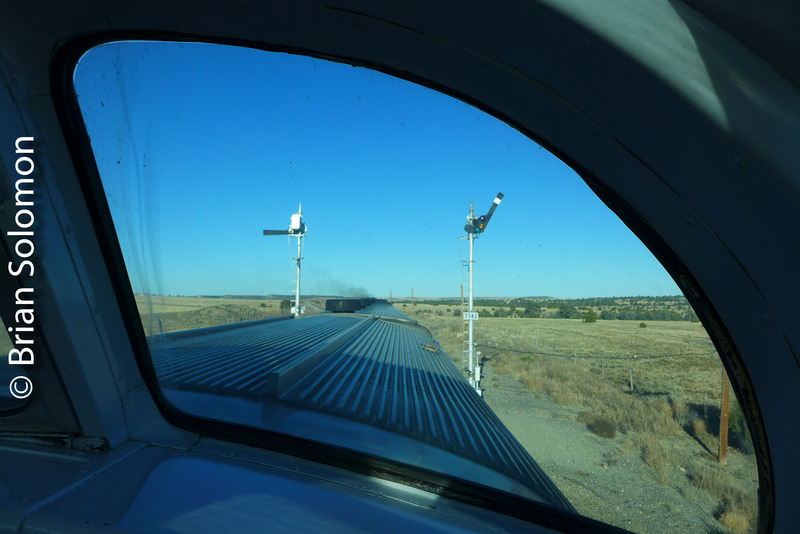 The Style T2 was detailed in my book Classic Railroad Signals in a sidebar titled ‘Sante Fe Semaphores Survive in New Mexico’ by John Ryan and the late John Gruber. Psssst . . . hey pal, I rode a bus to get these photographs! Last week I traveled around Northern Ireland on a Translink Adult Zone 4 iLink day card, which allows for unlimited travel on NI Railways and Translink buses for a flat fee of £16. This offers great value and travel flexibility. 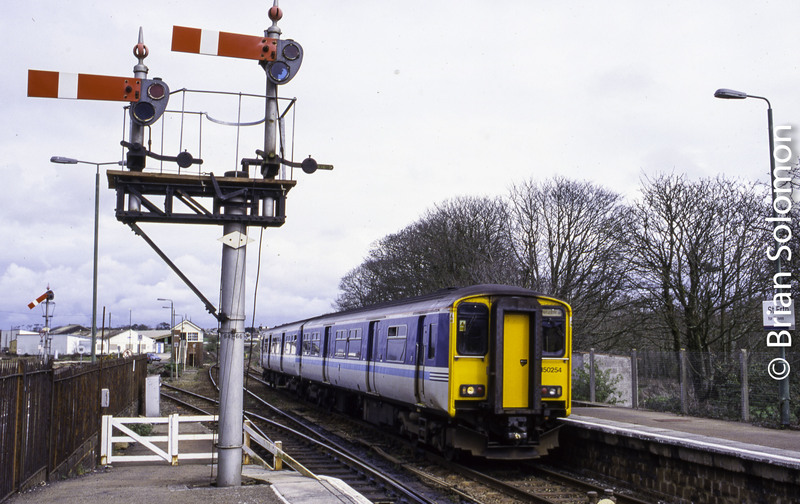 I arrived at Coleraine from Derry and wanted to make a photo of a train arriving at Portrush. Rather than take the branch train and wait around at Portrush for an hour to photograph the next arrival, I opted to board a bus. Not only did the bus take less time than the train, but arrived before the connecting branch train was supposed to depart. This gave me time to explore my angles and set up my photo. 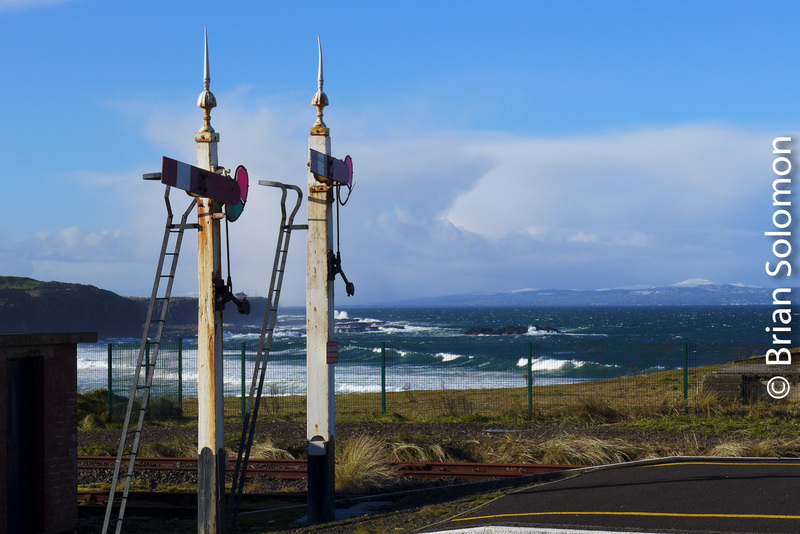 Semaphores against a background of the North Atlantic/North Channel. 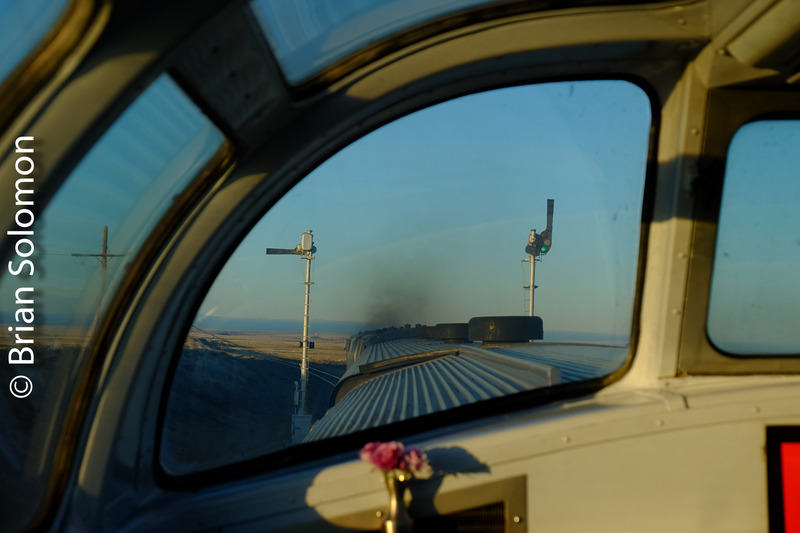 I selected a low angle to better feature the semaphore blade, while waiting to carefully position the train as an element in the photo between the home signal (in the distance) and cabin at left. Contrast and colour adjusted in post processing. Once the train arrived I made a few photos of it in the station, then boarded for the return trip to Coleraine (and on to Belfast). As a follow up to yesterday’s Extra Post, I thought I’d display this image of a similar signal in the USA. I made this photograph of three-position upper quadrant semaphores on the old Monon on a warm 2004 summer morning near Romney, Indiana. 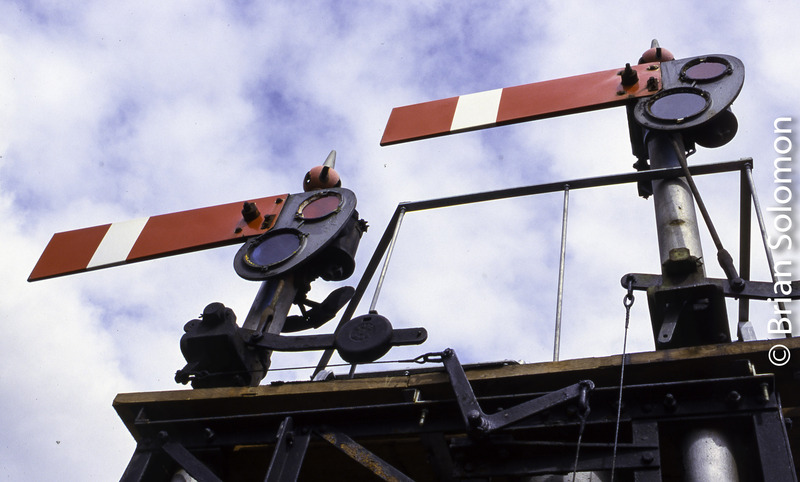 General Railway Signal upper quadrant semaphores with Model 2A top of mast mechanisms on CSX’s former Monon near Romney, Indiana on June 23, 2004. Exposed on Fujicrome with a Nikon F3 and 180mm lens.